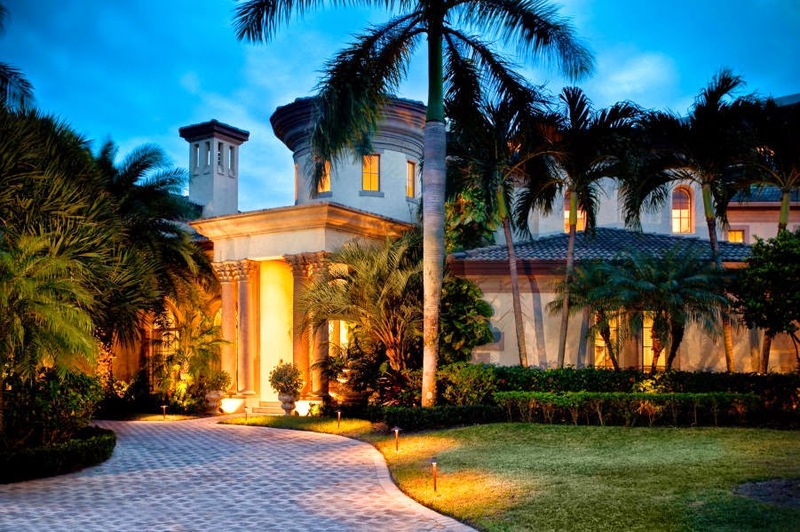 This waterfront Mediterranean inspired courtyard estate was just listed in the beautiful town of Highland Beach Florida. This estate includes 6 spacious bedroom suites, 7 full bathrooms, and 2 half baths all comprised in 9,880 square feet under air and over 12,800 square feet in total. Entertaining is made easy in the exquisite courtyard oasis, spectacular home theatre, gorgeous formal dining room, resort style swimming pool and hot tub, or the oversized gourmet kitchen. This opulent estate accommodates a dozen vehicles, has private dockage suitable for a large yacht, and residents enjoy private beach and club access year round. This home benefits from Beach Club accessibility that includes a boating club, luxurious beachfront clubhouse, community room, picnic area, private pool and hot tub, private beach access, and tennis courts. The Town of Highland Beach is located in Palm Beach County and encompasses only 1.1 total square miles. Highland Beach is home to a little over 4,000 year round residents that enjoy delicious restaurants, world renown shopping, pristine beaches, championship golf courses and a plethora of entertainment venues in between Delray's popular Atlantic Ave and Boca's Mizner Park.